Prestige Cleaning & Maintenance Ltd is totally committed to ISO9001 and operates a fully comprehensive management system in order to facilitate and achieve its Quality Policy Statement, you can view this here. Key elements of our Quality Management System include a total commitment to the very highest level of customer service. This is achieved through constant communication with our clients by means of ease of contact with a dedicated contract management team and frequent contract audits with multi-point checks and, where the client is available during inspection their evaluation and participation is greatly encouraged. In addition, our total commitment to Investors in People means that we also pride ourselves with the way we train, inspire, encourage and develop our people, meaning our clients get staff that are reliable, hard-working and committed to their job. Prestige Cleaning is also SAFEcontractor accredited which means as well as providing the very highest levels of customer service, we are also committed to the safety and welfare of our staff, our clients and anybody else involved with our organisation. 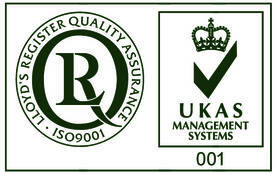 Want to know more about our commitment to ISO9001? Then contact us.